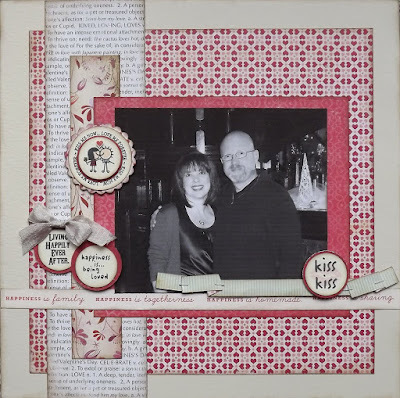 I know it's just a wee bit past Valentine's Day but not so far past that I can't share a love-themed scrapbook page, right? 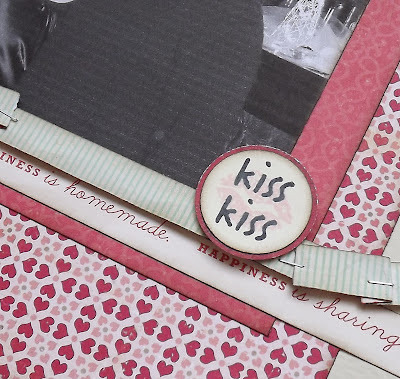 This is a project that I created for PSA Essentials and it features a bunch of darling stamps, a whole lotta heart-filled papers, and one very happily married couple! How about these little stick figure people, aren't they so cute? And I love the sentiment, "Kiss me now, love me forever." I also added a few more love-y sentiments as accents. Oh, the paper I used is from Cosmo Cricket...isn't it fun? Love their designs! On this kiss, kiss sentiment I added a pair of pale pink lips...you can just see a hint of the lips under the words. Fun, right? 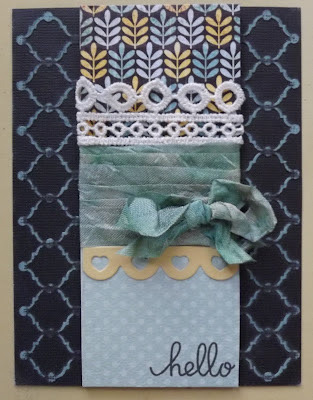 I also had some fun creating a few paper ribbons but used tiny staples to create the creases (this is a fun technique that I picked up from Paisley and Polka Dots). You can read more about the specifics of the products over at PSA Essentials! Enjoy! 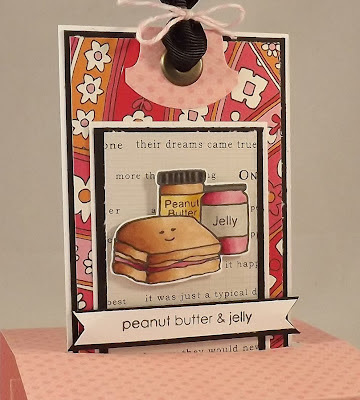 PS - My sweetie friend Julie is the guest designer over at PSA, head on over and check out her sweet cards! Hey there! Happy Monday! I'm trying to think of it as "happy"...it is Monday after all! However, the sun is shining bright and all is well so that is a good reason to enjoy even a Monday! 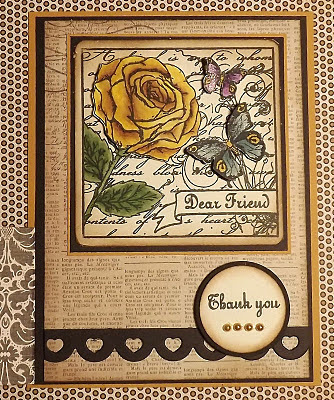 This beautiful image is from Hero Arts (Delicate Blossoms) and the sentiment is from the Together Silhouettes stamp set from Sweet 'n Sassy...love the sentiments in that set! Enjoy and...be happy! Since I had a very short time to prep for the class, I opted to re-create a few cards that I had made in the past but change the papers and images to be more kid friendly. 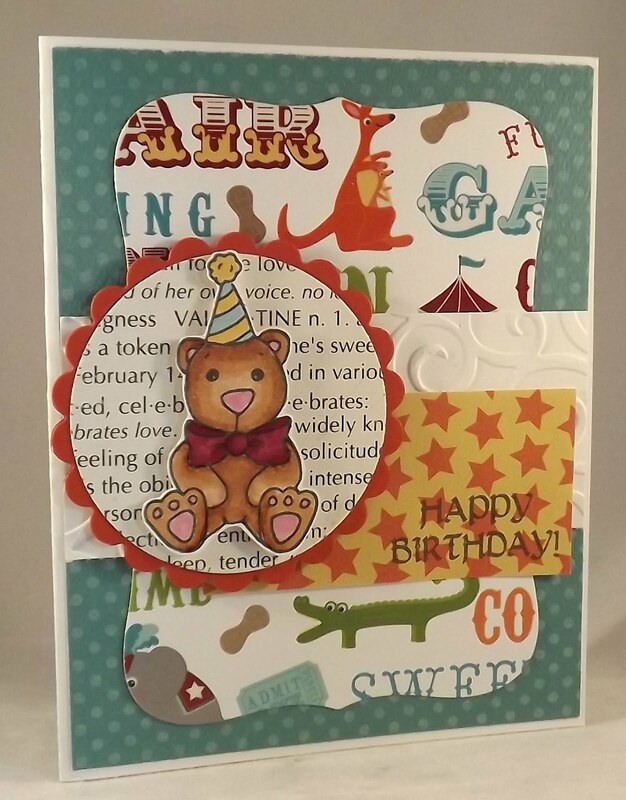 This first card, one of my favorites, features this sweet bear image from the Sweet 'n Sassy, Baby's Circus stamp set. 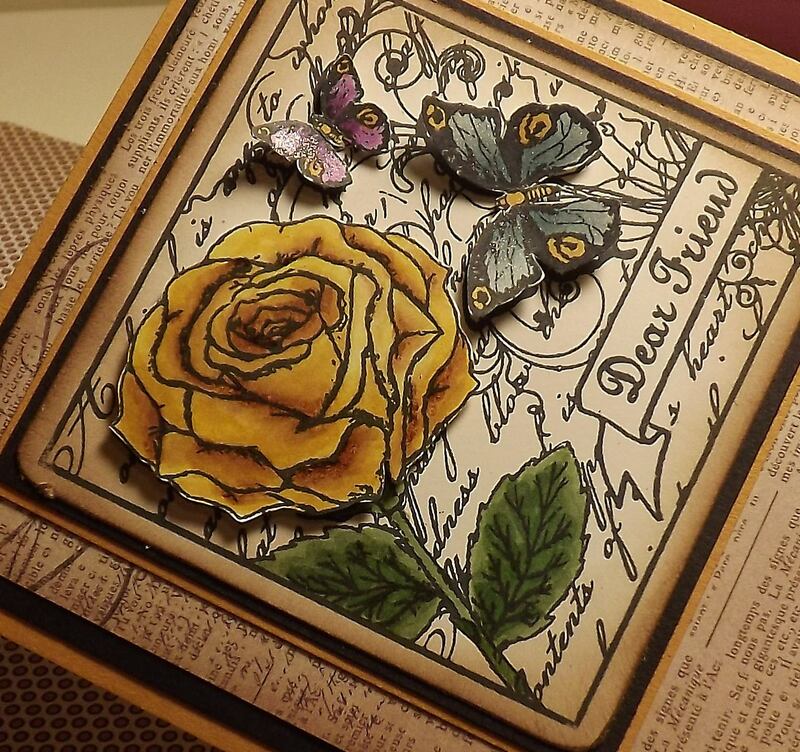 (The sentiment is from the Gifts from Turtle set) The sweet circus-themed paper is from Imaginisce. We had a great time at our class and I'm so thankful to the TPS ladies who asked me to teach! I'm looking forward to more classes, once a month for now, and you can check back here for more details! 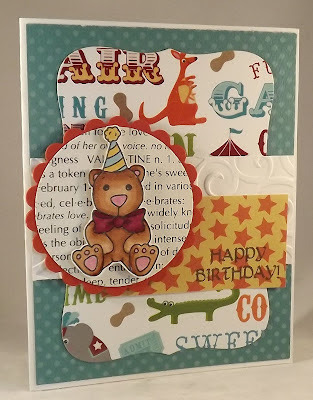 This fun pop up card is one that I'll be demonstrating at an upcoming Wholly Scrap! class. 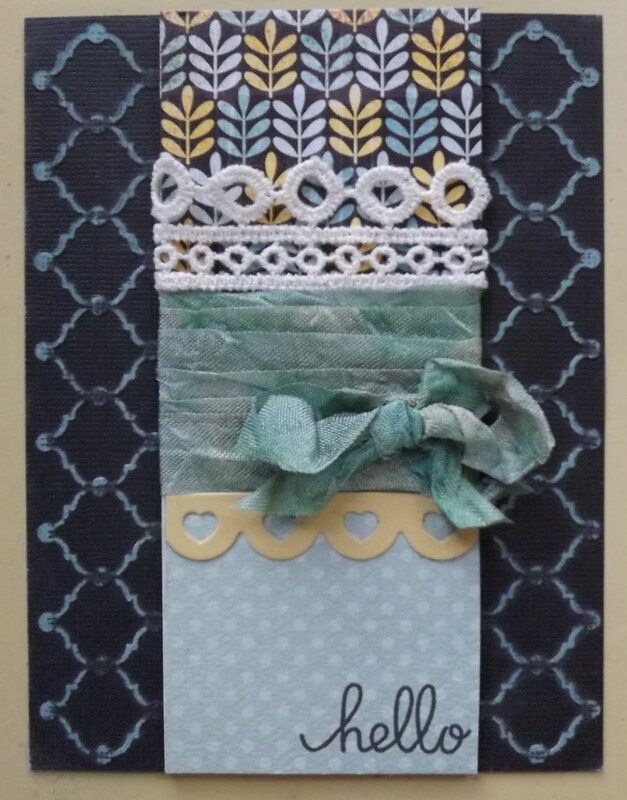 During the class we'll create cards using fun and unique folding techniques. 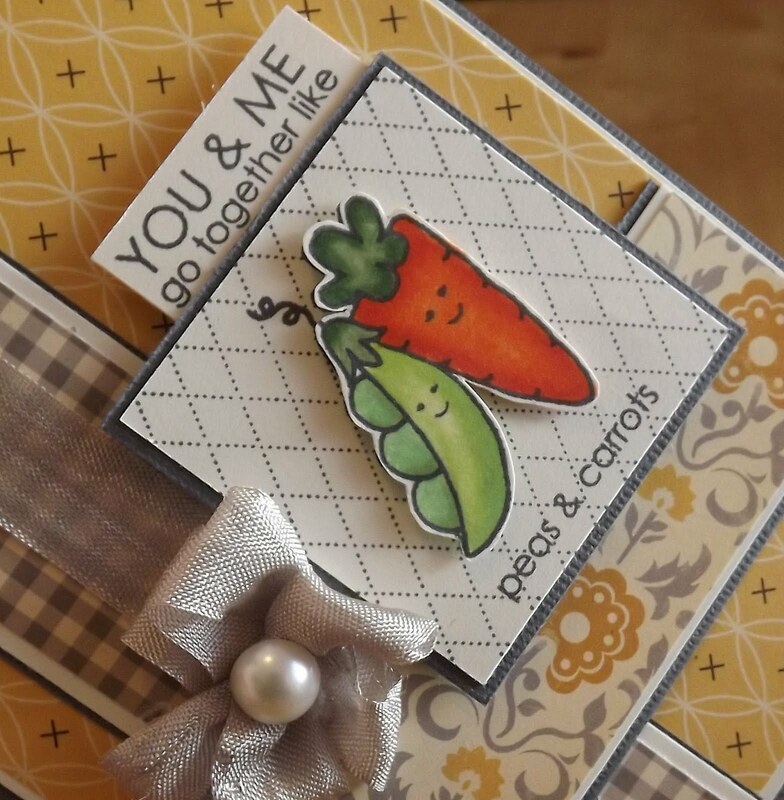 I paired my darling stamps with paper from Bo Bunny and Anna Griffin. (Someone stop me...I'm in a major pink phase lately!) My image was colored with Copics and mounted on some fun text paper. 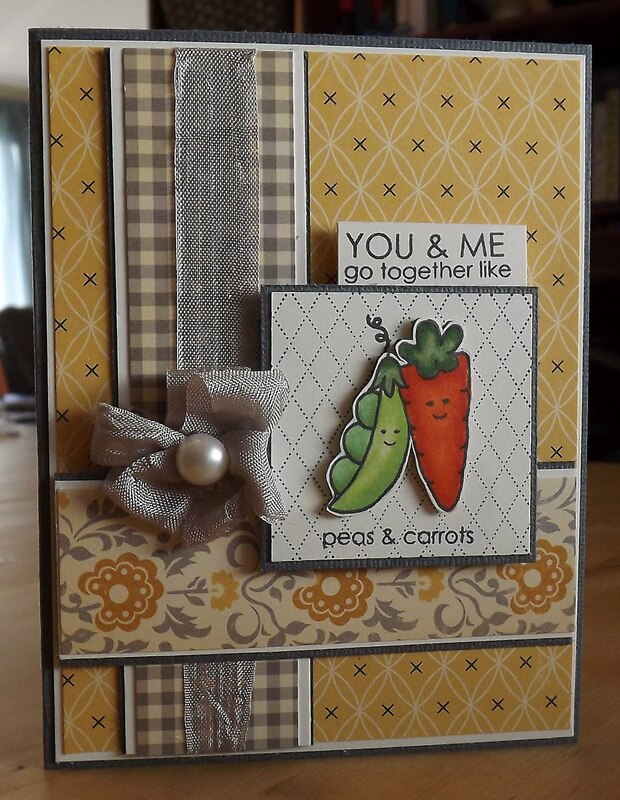 The ribbon is from SU!, the buttons are from Papertreyink, and the twine is from Sweet 'n Sassy! Check the August Issue of "Create for the Home"
Enjoy and if you're interested in the class, please contact Wholly Scrap! for more details! Have I told you lately that I adore this new set, You & Me? I love it just about as much as I love coffee and donuts (another one of the fun images included in the set!) 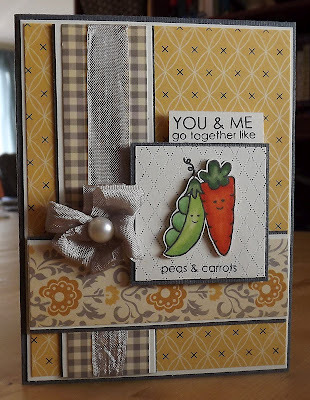 And ok, I like peas and carrots too, especially when they come complete with sweet little faces and coordinating sentiments! 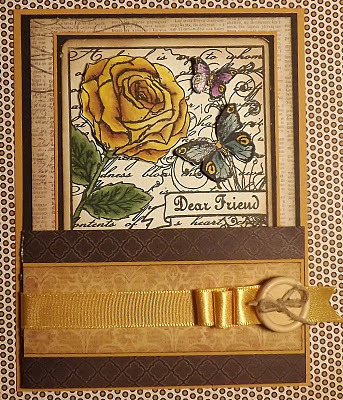 I opted to use some lovely vintage paper from October Afternoon for today's card. I don't know why but the You & Me set reminds me of a 50's diner and the Farmhouse line from October Afternoon is the perfect combo! 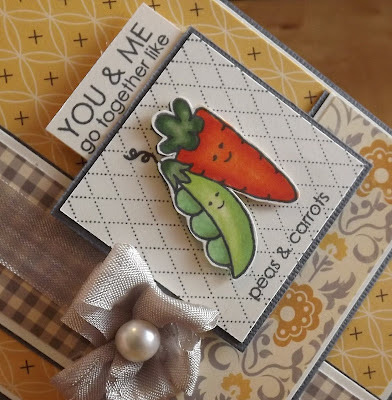 My pea and carrot are colored with Copic markers and popped up with some foam tape. I also added some lovely seam binding ribbon, along with a big 'ol pearl. Head on over to the Sweet 'n Sassy shop and check out this great set!! Hey guess what? 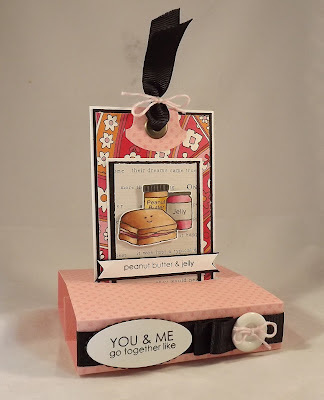 I'm hosting the Sweet 'n Sassy challenge this week over at Splitcoast! 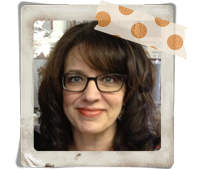 Come on over and check it out...it's all about Reverse Masking! I used an entire die plate to create the mask for this card...fun, huh? It was actually a the negative piece of cardstock left after cutting out these cute hearts. I was just about to toss it in the trash when the lightbulb went off! Perfect mask!! I used Distress Inks to color in the hearts and then used this sweet sentiment, from the Together Silhouettes stamp set. Head on over to the challenge page for all of the details! OK kids, get ready for a boatload of photos today! I'm super excited to share this project with you! 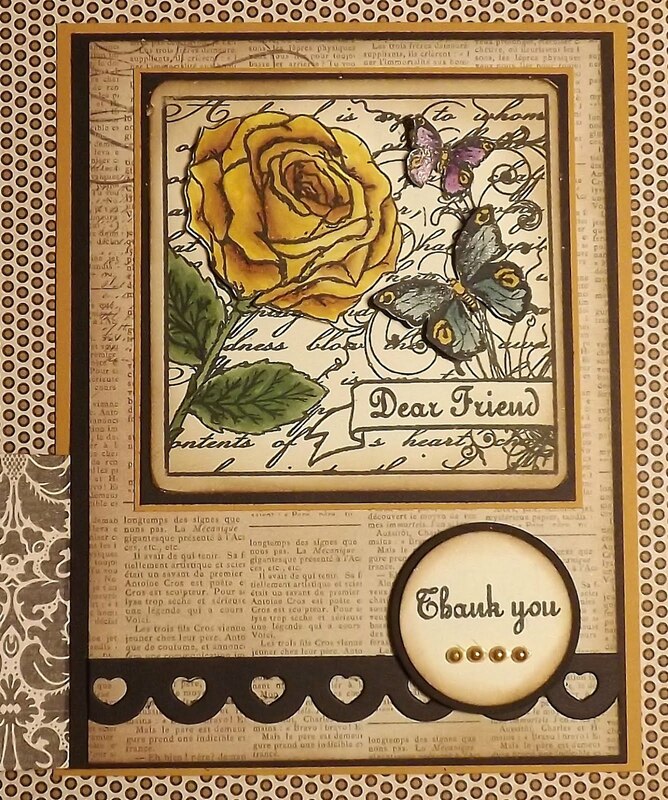 This wonderful display of butterflies is a brand new release from Say it with Letters! I was so excited when I received these in the mail and couldn't wait to find the perfect paper to finish my butterflies. 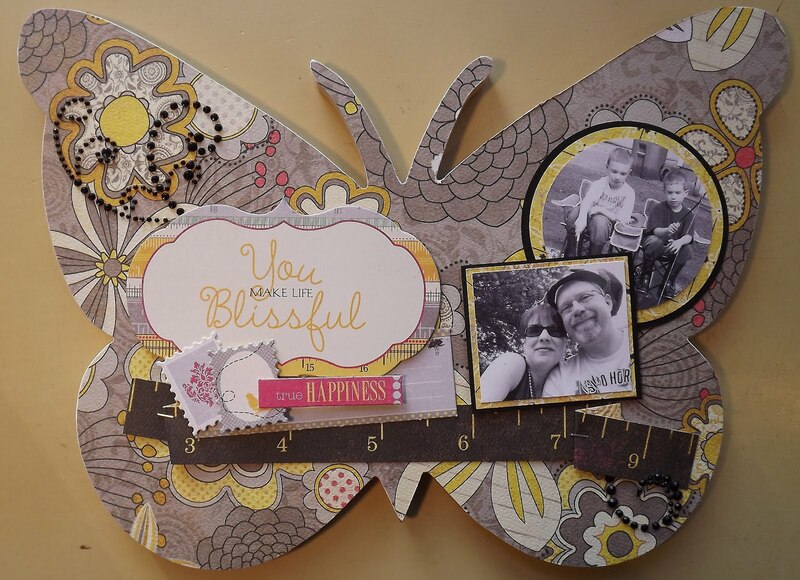 Once I selected my paper I realized that the great size of these butterflies was perfect for displaying some of my favorite family photos! The perfect paper for this project came from Authentique (adore this color combo!). 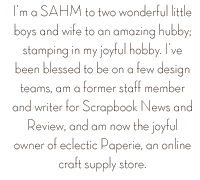 (Have you guys seen this new paper line...delicious!) 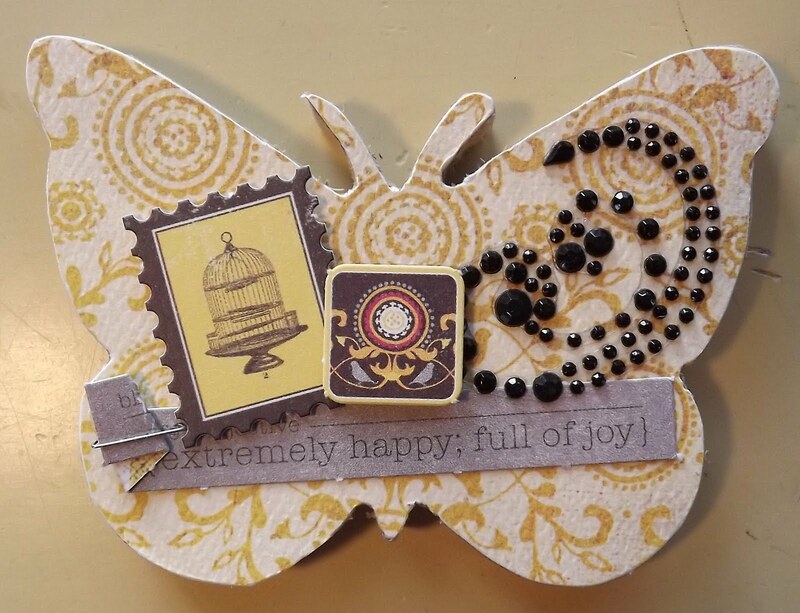 Authentique paper also comes with a boatload of coordinating accessories, such as the framed sentiment and mini postage stamps, shown on the butterfly above. 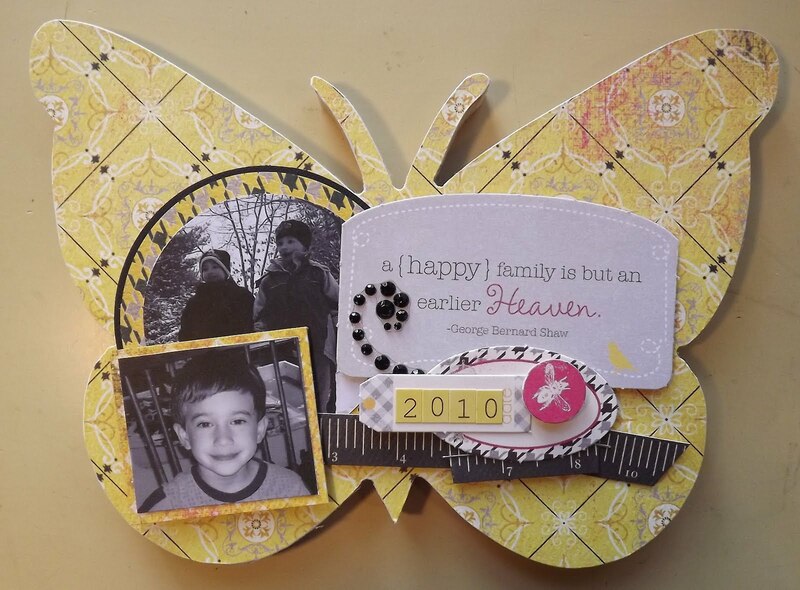 To cover the butterflies, I used Zip Dry to attach the paper and then an exact-o knife to cut out around the shape. A good file cleans up all the edges perfectly. 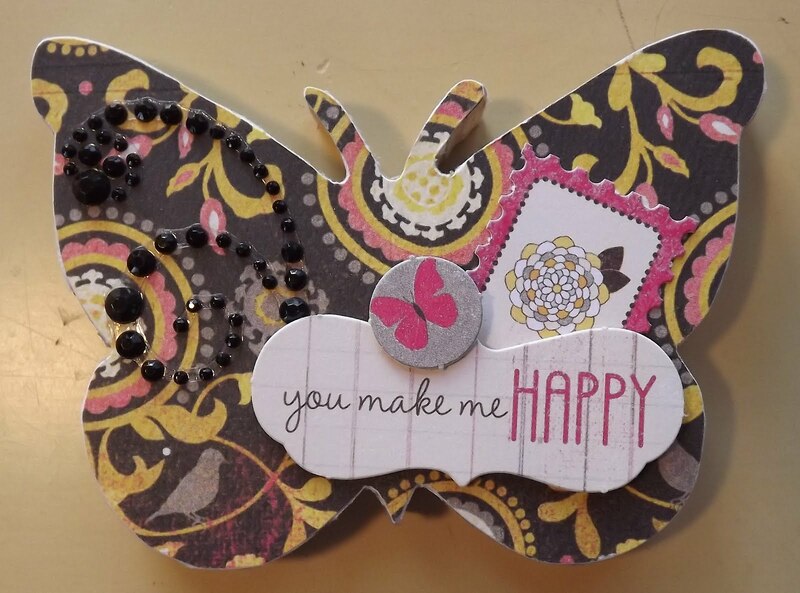 The only other additions I made to the butterflies, because Authentique had so many great options, were some black rhinestone swirls. 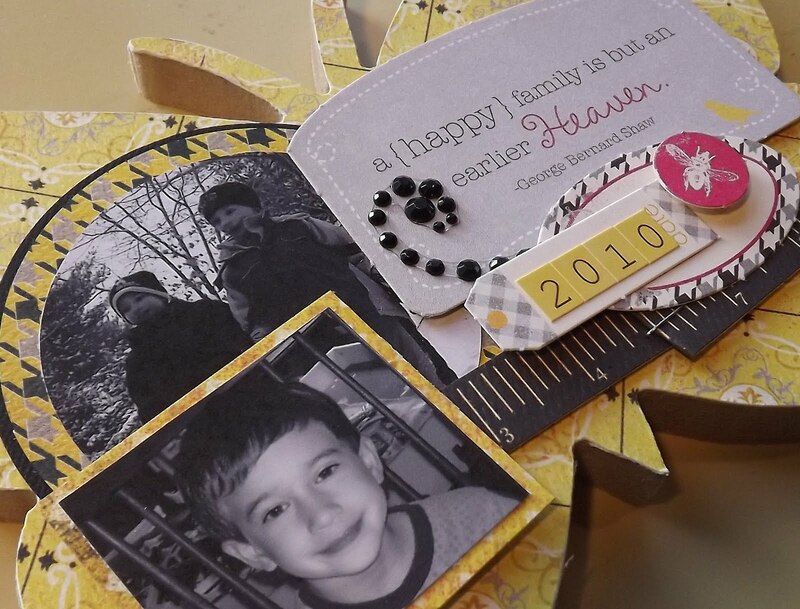 Loved the sentiments included with the Authentique paper line..."You are my sunshine" is something that I've been telling my oldest since he was born. I'm loving the grey/yellow color combo so much that I'm toying with bringing these colors into our still unfinished master bedroom! Wouldn't this collection of butterflies look great on a grey painted wall? Oh yeah! These last two butterflies are small so I opted to just decorate these without photos. I like the combo of ones with photos and ones without. And aren't those little postage stamps so cute! Love the swirls! Swirls? Butterflies? What could be better! The pop of pink is quite fabulous as well! Want to see more? Visit the SIWL blog for the other design team projects and links to the store! 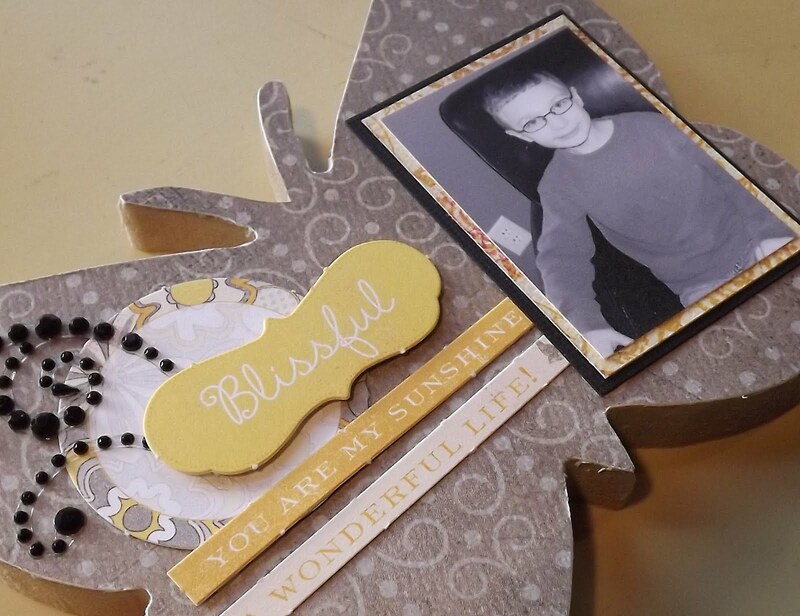 I have a class coming up at Wholly Scrap! 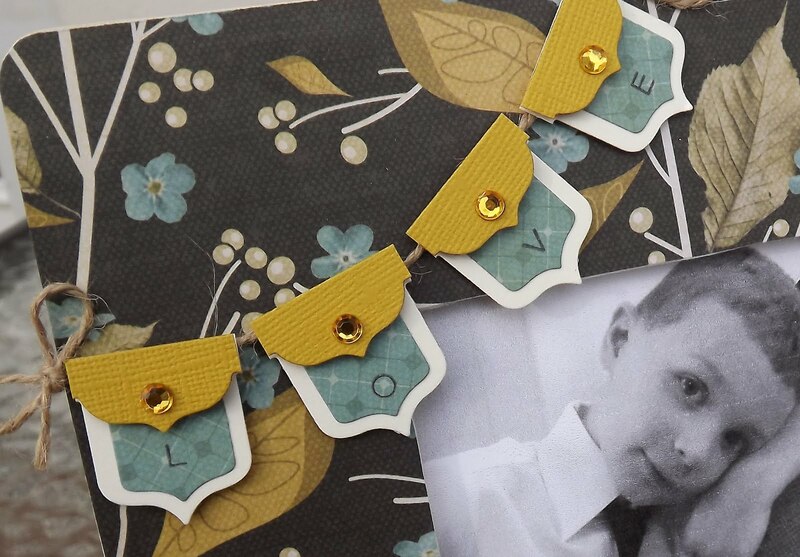 this week and we'll be creating cards using ribbon (like more ribbon than I would normall use!) and this is one of the cards I'll be creating. 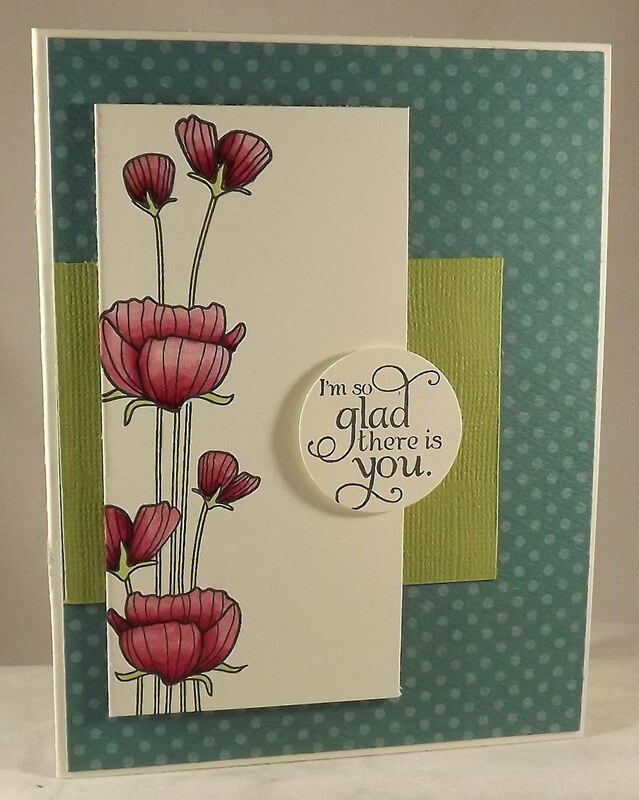 For this card I'll be showing the girls how to die seam binding with reinkers and Distress Inks. Fun stuff! 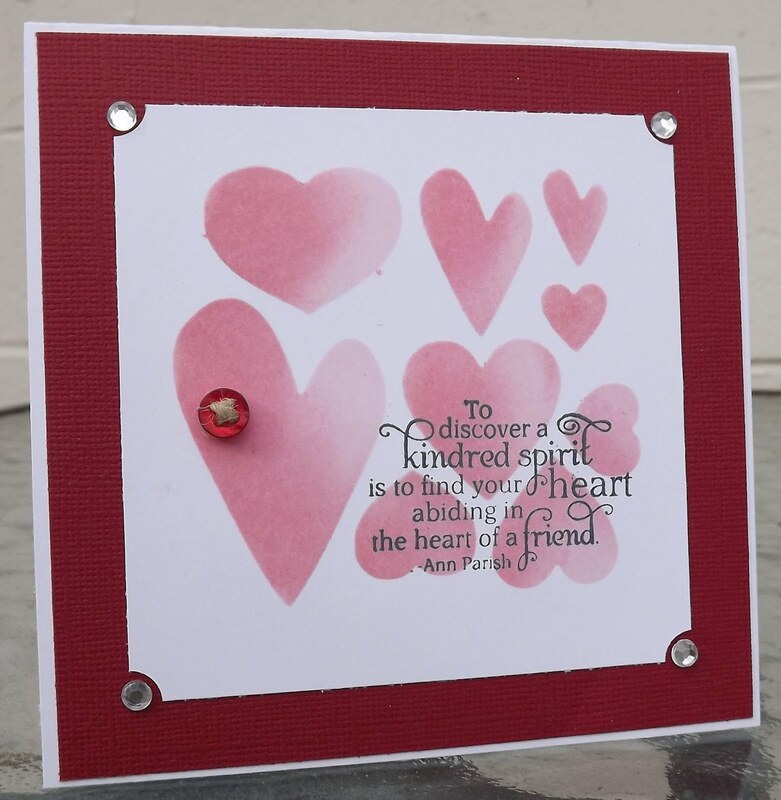 Quick post today...Other details on this card, heart border die from Sweet 'n Sassy and hello sentiment from Paper Smooches! Oh and the background of this card is Core-di-nations cardstock, which has a colored core that is revealed when sanded. I embossed the cardstock first and then sanded the raised edges to reveal the teal core...neat, huh? Guess what? 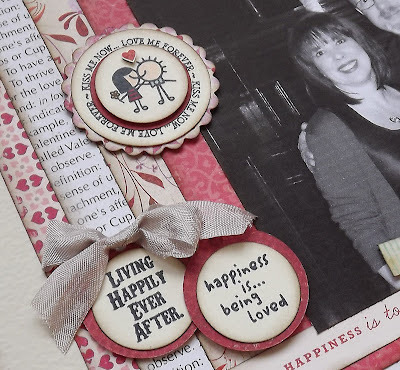 I'm the guest designer over on the Splitcoast CAS message board this morning! 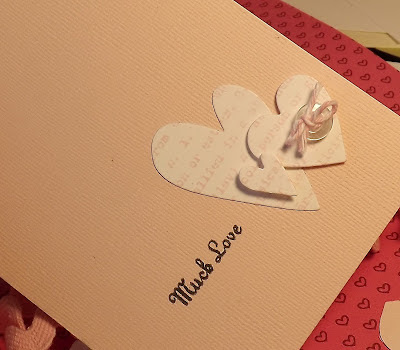 You can check out the entire post, and all of the lovely cards, here. I'm very excited about my little guest spot! Love that CAS group! This card features stamped and die cut hearts, all in a nice little pile (thanks to lots of foam tape!) 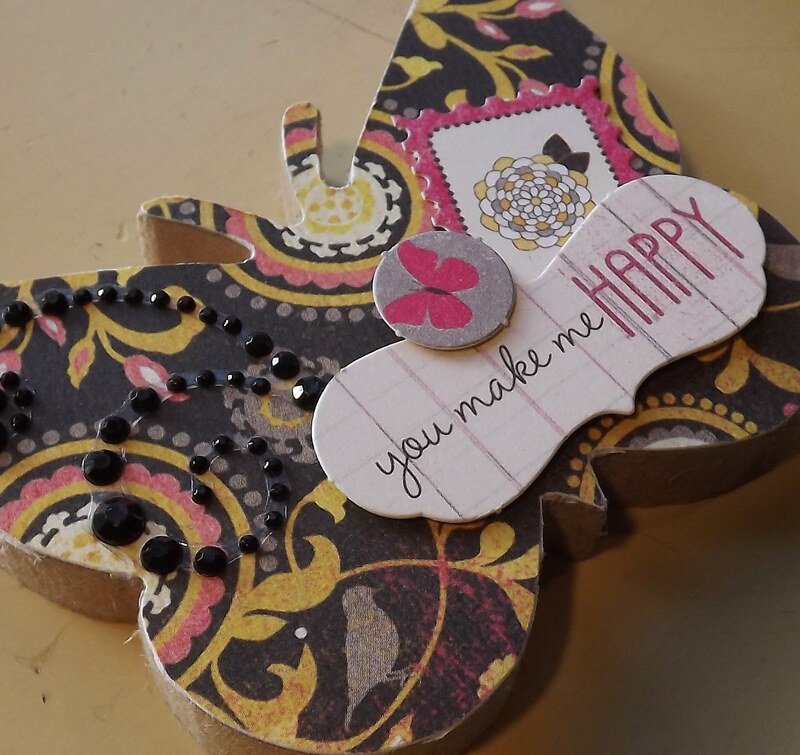 The hearts were cut with the Heart Die Set from Sweet 'n Sassy. 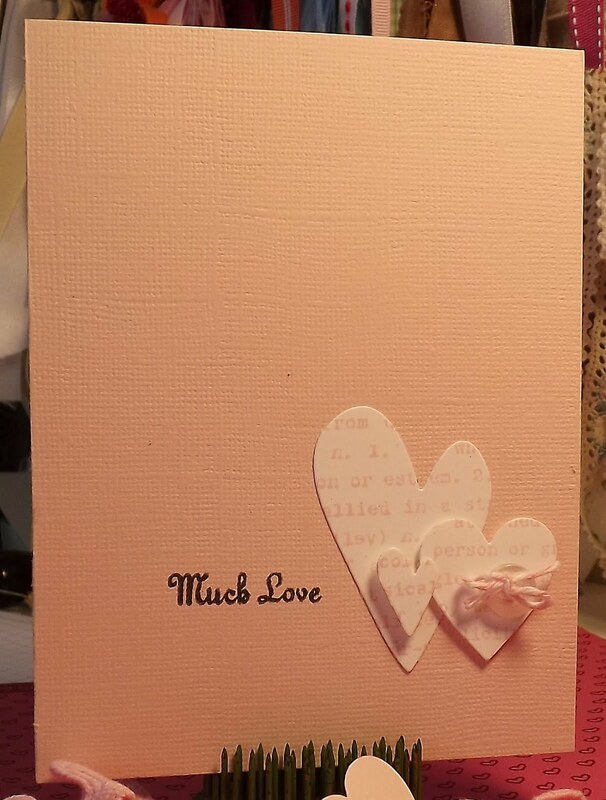 Before I cut out the hearts, I used a text background stamp from SU! and Spun Sugar Distress Ink to stamp on a piece of cardstock. After the hearts were cut, I selected three that I liked and used foam tape, in different thickness (the big heart is taped flat, the medium heart is attached with 1/16" thick foam tape, and the small heart is attached with 1/8" thick foam tape). Then I added a tiny white button, from Papertreyink, tied with white and pink twine, from Sweet 'n Sassy. 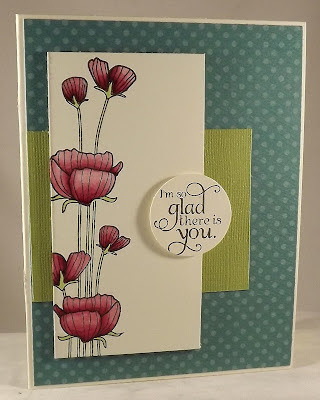 The tiny sentiment is from the Rose Collage stamp set, also from Sweet 'n Sassy. Enjoy and be sure to check out all of the great artwork on the CAS board today...and join in the challenge!! 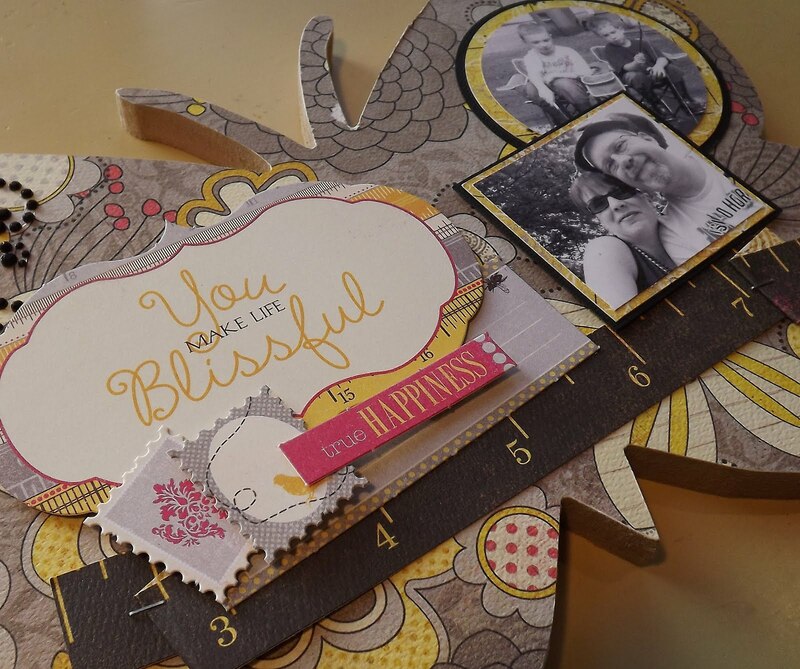 My card features the brand new and super fabulous stamp set, Rose Collage. Isn't the main image amazing?! 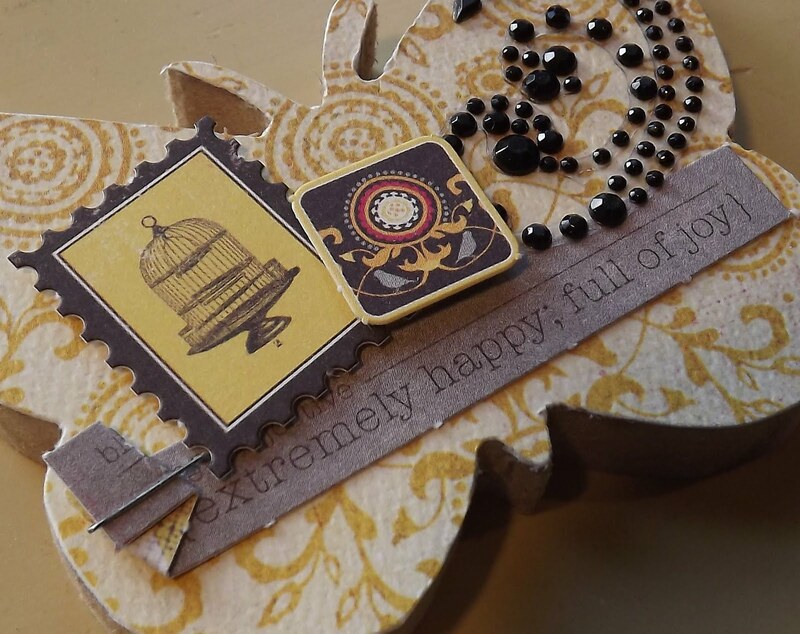 And I love how the set comes with so many interchangeable sentiments! I chose to use one on the outside and then another on the inside! 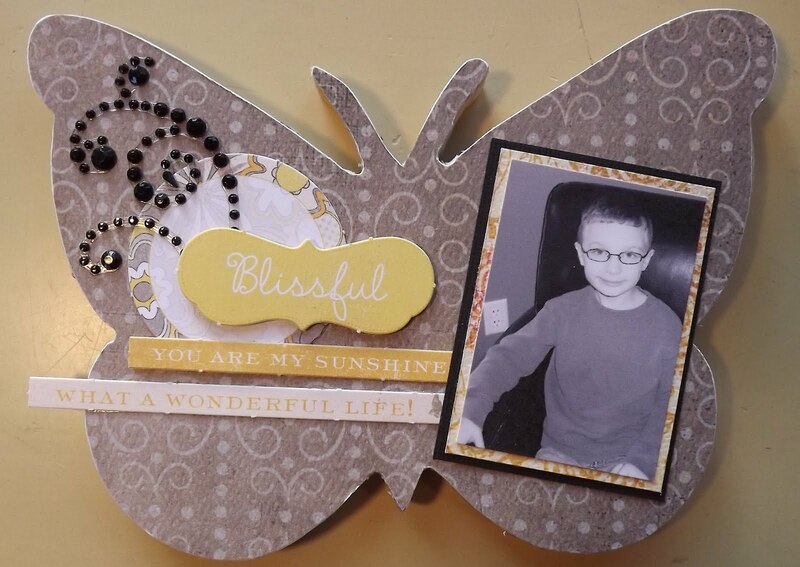 I paired this beautiful floral and butterfly image with paper from My Minds Eye. 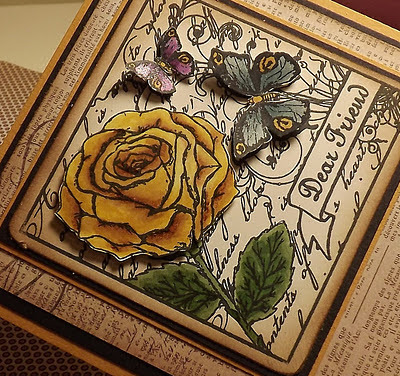 I also stamped the image twice so I could color and cut out the rose and both butterflies for a little extra dimension. And how about that darling heart border? Brand new dies!! This one is the Hearts & Stars Scallop Border...two for the price of one! Oh and the layout is from yesterday's Splitcoast challenge, which you can check out here!